Hacked Gadgets :: View topic - Electric Beer! 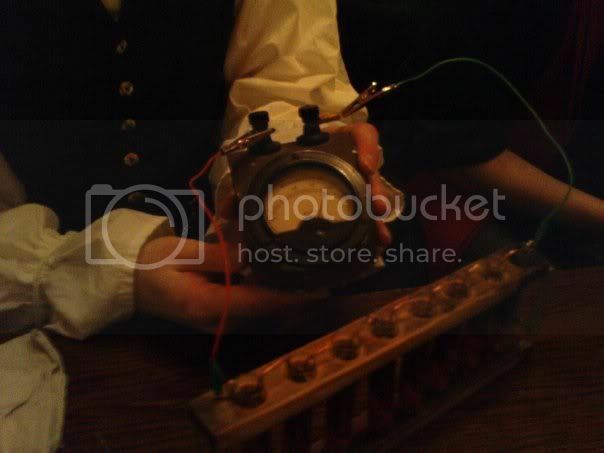 Posted: Sat Feb 27, 2010 7:34 pm Post subject: Electric Beer! 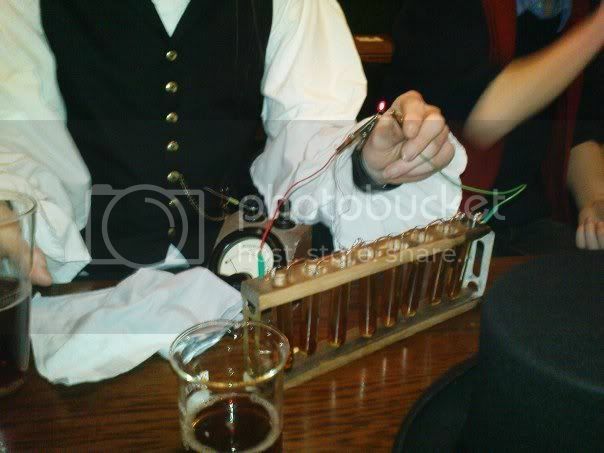 My latest experiment was a complete success, it confirmed that you can make electricity from beer! The core of this device is the voltaic pile invented by alesandro volta in the year 1800, which consists of a copper and zinc electrode immersed in a liquid electrolyte. For this experiment I replaced the salt water from his original design with beer! And it works! I love the outfit! Seems fitting.